Co-creation is an integral part of advocate marketing, a key component in changing how we engage and interact with consumers. Instead of the brand owning the message, existing customers are asked to help shape campaigns, create content and shape advertising. This approach allows potential customers to see the brand in a much more authentic way. The customers who help in this process also feel valued and as a result are more loyal to the brand. ”Co-creation can crush traditional marketing and advertising and generate not only meaningful interactions but also a boost in sales. 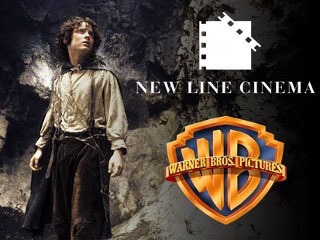 Rather than attempt to shut down unofficial Hobbit fan sites, New Line Cinema co-opted them, helping spread word of mouth and create buzz about its movie The Lord of the Rings. Gordon Paddison, senior vice president of worldwide interactive marketing, reached out to the more than 400 fan sites before the movie was released to communicate with the early influencers and give them insider tips. This is an example of co-creating being used to engage a community and involve them in the marketing process. How does co-creation transform customer experience? It makes your customers feel valued, while also adding value to your brand. When done well, they are able to see that their feedback and ideas are actually being received and reviewed and that it might even influence future improvements or innovation. ”Co-creation is not a new concept, but it is one that is being enhanced and driven by the way the world is changing. Co-creation creates a community of reliable customers that are rewarded for their participation, enticing them to be part of an exclusive group of individuals that bring value to a brand. Brands that continually find success in co-creation understand that it takes an active and engaged community to best collaborate. Finally, have fun! Co-creation is an opportunity to do things differently, to collaborate with your customers and to change the way we engage with consumers. Our solutions are designed to help you work with your customers when creating new and innovative marketing campaigns. We help you crowdsource ideas, capture opinions, test assumptions and understand what customers value most. Our team of experts will also be at hand to offer their knowledge, ensuring you engage with your customers in the most effective way.